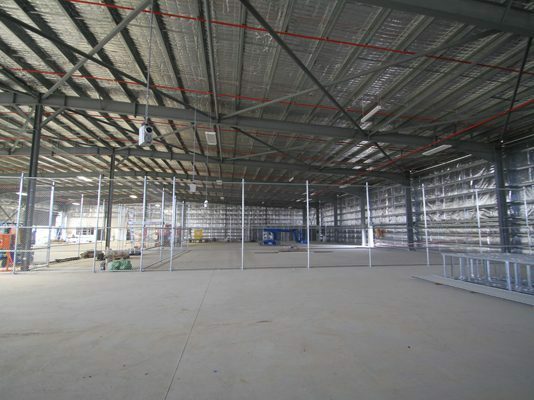 The project is for the Australian federal Police and incorporates a multi purpose storage, logistics and training warehouse for various organisations within the AFP. The 3700m2 warehouse includes a separate block, with a highly secure office area, amenities including numerous showers, a storeroom, laundry and a dedicated secure server room. 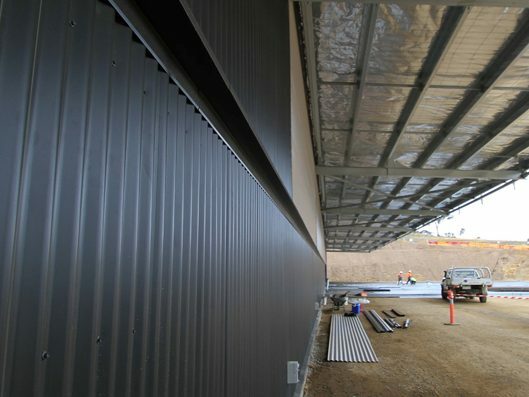 Externally the project required a 2000m2 hardstand and a 3.2m high, 26 bay carport for specialist vehicle parking. 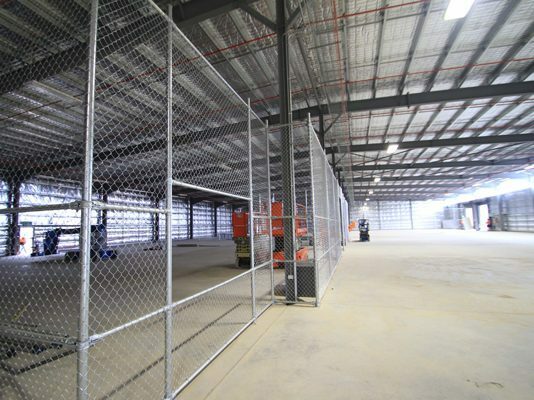 As this project is constructed in an open paddock at the AFP Majura Complex, infrastructure services was an issue that had to be resolved. This together with the sensitive and specialist equipment being housed within the warehouse meant that fire protection was a main requirement and concern of the AFP. The design team ensured that this was catered for with adequate protection through the design of two 184,000 litre water tanks to provide suitable capacity for hydrants and sprinklers.